Is Affordability Becoming a Problem for US Real Estate? What do you do when the free market prices the average – sometimes even the exceptional – American family out of owning a home? The answer used to be simple, people would just rent. In many markets – most major metro area – rents are increasing at rates equal to, or higher than, home values? Something has to give. You have to have somewhere to live whether you own it, rent or – in some cases – drive it. 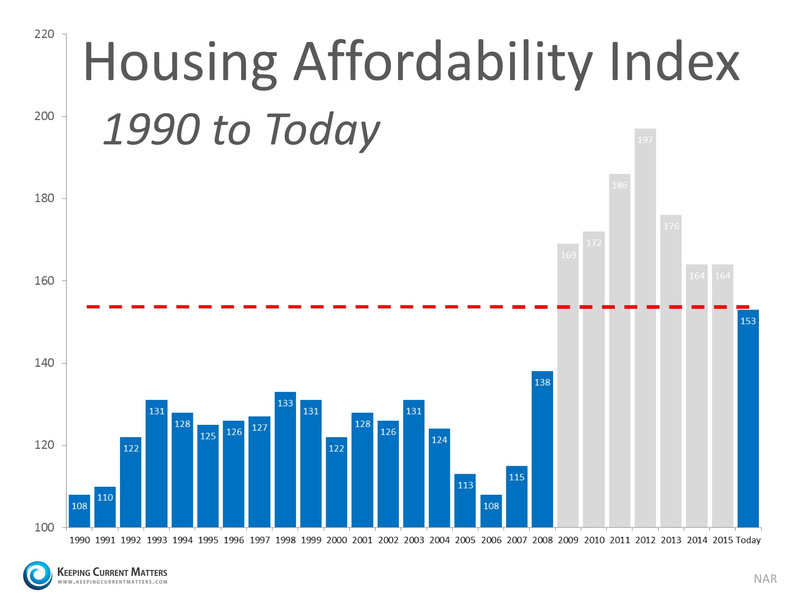 So how do we approach the affordability issue that many markets are experiencing? Where can you get the most bang for your buck – owning or renting? We first need to understand this is not a problem solely for the coasts. In fact, based on the Housing Affordability Index, the Midwest is the hardest hit. They may have the lowest median home price at $201,500, but they also – by a mile – have the lowest median income at $36,720. The Housing Affordability Index (HAI) for a given area is calculated by the share of homes sold in that area that would have been affordable to a family earning the local median income, based on standard mortgage underwriting criteria. It’s a pretty simple calculation with two components – income and housing cost. A value of 100 means that a family with the median income has exactly enough income to qualify for a mortgage on a median-priced home. An index above 100 signifies that family earning the median income has more than enough income to qualify for a mortgage loan on a median-priced home, assuming a 20 percent down payment and a qualifying ratio of 25 percent. For example, a composite HAI of 120.0 means a family earning the median family income has 120% of the income necessary to qualify for a conventional loan covering 80 percent of a median-priced existing single-family home. The Midwest has a HAI of 186.8 – that’s potential trouble. In San Francisco, where the median income is $83,000, about 61 percent of one-bedroom homes are renting for $3,000 or more per month – that’s problematic too. The median income in Oakland is $47,000, which translates to $1,175/month for rent, but the average monthly rent in Oakland is $3,000. An entry-level teacher in the Oakland Unified School District makes just above the median. Entry-level pay for police in Oakland is $70,000, meaning no more than $1,750 a month should be allocated towards housing. You can see the income needed to buy in California and other West Coast markets is significant as well. That’s actually down some from the recent high water mark of 173.8 posted in February of 2016, but don’t let the Affordability Index dip fool you though. That’s simply a side effect of lower mortgage rates driven down by global unrest (especially Brexit) and ripe economic conditions at home. Home prices – rent too – are still rising nearly everywhere. When rates go up so do the chances of further housing affordability chagrin. What then? Remember that the index is based on a 20 percent down payment too. Rising home prices mean rising down payments. The average home price nationwide is $249,800. You’ll need approximately $50,000 just for the down payment. That doesn’t include closing costs, escrows and other costs associated with buying a home – new furniture, moving expenses, home inspections or simply a coat of fresh paint. In San Jose, California the median price just crossed a cool million, first metro to ever reach that mark. Hey brother, can you spare some change? Oh, around $200,000 should do it. You’ll notice below, however, that San Jose and Silicon Valley do not crack the list of cities with the least affordable housing. As long as the tech industry – and the cabbage being earned in it – keeps its pace they likely won’t appear on the list either. California dominates the least affordable list clearly, but there’s a lot of things California wins – best weather, awesome natural landscape, high paying jobs, progressive mindset – so no surprise there. What Are My Mortgage Options in More Expensive Markets? Well, for starters you don’t have to put 20 percent down. In addition to lower down-payment mortgage loan options – like FHA, USDA and Fannie Mae’s HomeReady – there are also subsidies and government programs available that help the housing ends meet for those with incomes below the HUD median average for that county. In some cases, there are state and local grants for would be homebuyers – especially those at 80 percent of the median county income or less. Some of those grants are “soft” second mortgages which simply means that you’ll not have a payment and only have to repay should you sell your home prior to a specified amount of time – typically 5 years. They assist with the down payment and effectively reduce the cost of the home since they generally require no monthly payment if the terms of the program are met. HUD offers programs too. The Good Neighbor Next Door program offers homes for sale that were foreclosed with an FHA loan in place to our honorable community servants – Teachers, Firefighters & Police Officers – at a 50 percent discount. How Do We Fix This Affordability Problem?! Build. Build some more. Build again. Meanwhile, babies are being delivered and millennials are forming households – the nation is growing. People need more space, they need more housing and that chart scares me. When construction started to approach normal in 2014 builders focused on the higher – more profitable – end of the market. They still are. But, that’ll change soon because that market is over-served and has left a swath of the home buying populace out in the cold – first time homebuyers. Starter homes barely exist in 2016. When one pops on the market it goes under-contract the next day. Smart home builders are already making the switch to meet the demand. Unfortunately – or fortunately if you’re a builder who recognized the pent-up demand and moved toward it – not nearly enough builders have placed emphasis on this demographic. Regardless, if you’re unhappy with simply handing a landlord your rent money every month with no tax deductions, no control, no equity creation and no permanent ties to your neighborhood, than you owe yourself – at least – a quick call to your loan officer for a consultation that lays out all your housing options. You may find that renting is best, but you’ll likely find otherwise. Owning a home is not only rewarding, it can be a true wealth builder as well. The only question is whether or not you can attain your piece of the American dream. A question can only be answered if you ask itif you ask it.